Bhavan's Tripura College of Science & Technology, is a new entrant in the field of higher education in Tripura. Established in 2003 the college is persistently striving to achieve value-based education system that sincerely aspire to produce new generations of competent and a acdemically motivated students. 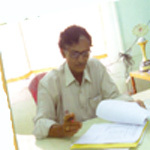 At present the college offers BBA, BCA, DCA, BIT, B.Sc. Honours in Computer Science & B.Sc. Honours in Electronics, DMLT and BMLT. Bhavan's family focuses on capitalizing the Indian heritage and culture for creating a finer ambience of value-based education that caters to learner centric approach. Based on no profit no loss principle the college look forward, to the spirit of nations building. We have a long road to travel. But we are inspired by the student sense of dedication that motivates us to reap benefits for the society in the days to come.